Angela Wade, posting on the community blog site Mindful Homeschooler was talking about their unschooling experiences and she referred to it as accidental homeschooling. I think we are accidental unschoolers too. I didn't really plan on unschooling, it just happened. I do do some lessons, occasionally, but I find that they do fine on their own with some "strewing" or with my introducing things to them that I am finding interesting or reading about at the moment. I am a reader and one of my favorite things to read is "National Geographic" magazine and website. My son frequently asks me "What are you reading in National Geographic, Mom?" ...and we're off! I like the word strewing. I didn't know that there was a word for it! I'll bet we all do a bit of strewing now and then. Around this room I notice some strewn things, a set of Horrible Science magazines that I picked up for a song, some paisley and doodle "coloring" books, embroidery kits, Games magazine, Science magazine, cook books, a book called How Things Work, educational games, etc... I know! Homeschoolers aren't the only strewers. My parents were strewers, however unintentionally. Dad read lots of magazines that I was forever picking up to read, my favorites being Popular Science and Popular Mechanic. Just yesterday I saw Bonobo paging through a National Geographic and, later, ask some fairly good questions about the subject matter. Questions that showed he had discovered some ethical dilemmas in the subject matter (so-called de-extinction of creatures that have gone extinct within the last century or so). Strewn materials that informed and engaged him. And the neat thing is that I knew it right away, that he had discovered that material! 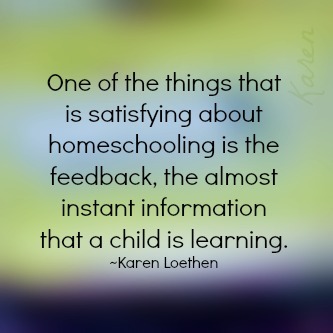 That is one thing that is satisfying about homeschooling: the feedback is almost instantaneous! If so, could you explain your theory a bit? If not, what do you think about unschooling? When I wrote the article, I'd just learned the term "strewing". I'd been doing it for years (as a lot of homeschoolers in general probably do), but never knew there was a word for it until someone on the Secular Homeschool boards mentioned it. Over at Mindful Homeschooler, we've been talking about setting up a question and answer column for unschooling, so if anyone has any questions they want to send in, we'd love to hear from you! 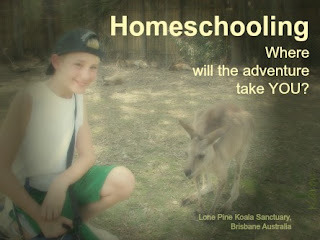 Still Looking for Disadvantages of Homeschool?